The hit play called The Children made such an impact when first performed in London’s Royal Court Theatre in 2016 that the next year it went straight to Broadway – with its original cast. Given its reception by critics and audience, it is expected to be a major draw at Centaur, Montreal’s premier English theatre, when it opens Nov. 6 and runs until Nov. 25. Centaur’s Eda Holmes, who took over last year as artistic director, is directing the play in a co-production with Canadian Stage. It features an all-star cast, all veterans of film, stage, and TV: Fiona Reid, Geordie Johnson, and Laurie Paton. The play won the Writer’s Guild of Great Britain for Best Play in January 2018. It was nominated for the 2018 Tony Award for Best play and the Outer Critics Circle Award. The narrative follows three characters in the aftermath of a nuclear disaster. Written by British playwright Lucy Kirkwood, it was a follow-up to her critically acclaimed plays Chimerica, which dealt with global politics, and Mosquitoes, which sold out for its entire run at London’s National Theatre. In The Children, Kirkwood takes a more focused look at issues such as how people react to nuclear poisoning. 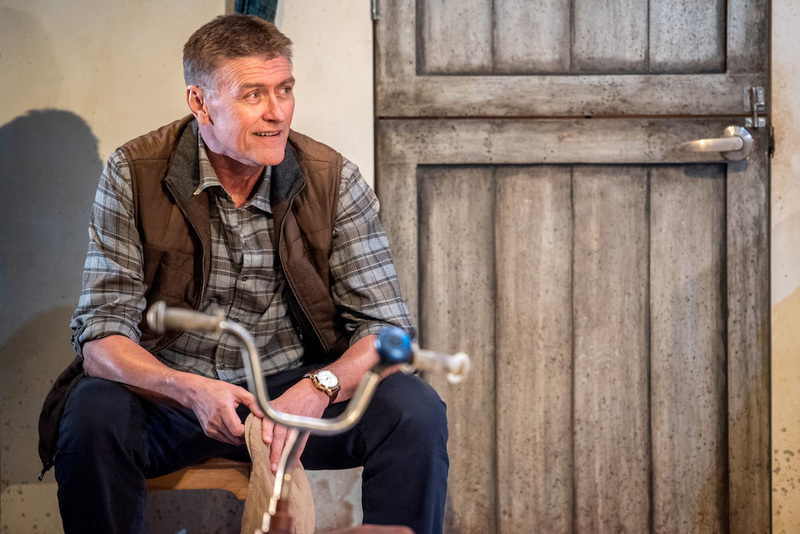 As described in a review by Michael Billington in The Guardian, Hazel and Robin, two retired nuclear scientists living in a coastal cottage following a disaster at a local power station, try to live normal lives. That effort is challenged when Rose, also a nuclear physicist, whom they haven’t seen for 38 years, shows up. Does Rose intend to rekindle her former affair with Robin or does she harbor some darker purpose? As the reviewer notes, the two women are studies in contrast: Hazel has four children while Rose opted to stay childless. Hazel is a model of domestic efficiency while Rose has a more reckless, take-things-as-they-come attitude. reveals that Rose arrives on the scene out of a sense of social responsibility, seeking to engage her former colleagues in venturing to their former plant to contain the damage, possibly risking radioactive poisoning. There are some lighter moment, such as when the characters listen to a James Brown tune and end up dancing to it – a trip back in time. Be the first to comment on "Award-winning play The Children comes to Centaur"